High-angle view of Union Station (242 - 296 Saint John Street), from north, circa 1910s. Fore River in background. Published by C.T. American Art. 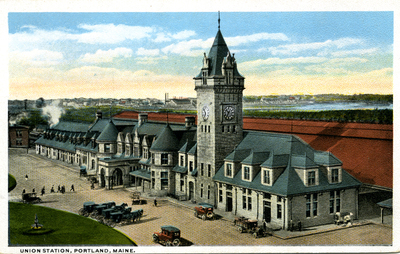 "Union Station, Portland, Maine" (2013). Portland Postcards. 22.